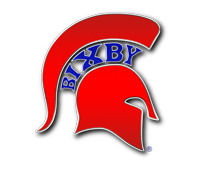 The Bixby Public Schools Athletic Department would like to thank you for taking part in our process of accepting the required athletic participation paperwork online. You must fill out & submit the following forms (OSSAA Eligibility Form, Pre-Participation Signature Form, and General/Medical Information Form) online by going to https://bixbyisd.rankonesport.com. NOTE: YOU MUST HAVE YOUR STUDENT-ATHLETE’S STUDENT ID# BEFORE STARTING ONLINE PROCESS. YOUR STUDENT-ATHLETE WILL HAVE TO SIGN EACH FORM, MAKE SURE THEY ARE PRESENT WHILE COMPLETING THE FORMS. You may choose to register for an account or click no thanks! 1. To submit online, you will be asked to provide information such as student-athlete’s ID #, student-athlete’s full given name, email address, date of birth, year in school, home phone, cell phone numbers, primary physician and hospital, emergency contacts with phone numbers and other pertinent information. 2. To submit online, you and your student-athlete must fill out and sign in all required spaces. Forms will not be accepted electronically without everything filled out by the student-athlete and you, the parent/guardian. 3. To access the required athletic participation forms for Bixby Public Schools, hold your cursor over the “ELECTRONIC PARTICIPATION FORMS” tab (at the top of the page). You will get a drop down list of all the required forms. 4. TO BEGIN, click on the form name and fill out the information requested. You must have your student’s ID # available as it is required on each form. Your student-athlete will have to sign each form, make sure they are present while completing the forms. If a question is not applicable, please answer the question with NA or UNKNOWN. 5. TO SIGN THE DOCUMENT, click inside the signature box and hold your mouse down. This will allow you to create an “electronic signature.” If you make a mistake and need to start over, click the refresh icon next to the signature box. If you are using an iPad, you may create an electronic signature by holding your finger to the screen and signing or by using a stylus pen and signing. 6. Once you have filled out all of the information on each page, please CLICK the SUBMIT button. You do not have to print these forms; they automatically go to the Athletic Administration to be reviewed. 7. You will receive a confirmation email once the document(s) have been reviewed by the Bixby Athletic Department and Bixby Athletic Trainers. 8. You CANNOT fill out the PHYSICAL FORM and PARENT CONSENT FORM online; you must PRINT AND TAKE WITH YOU to the physician. It must be filled out by a physician and hand delivered to Athletic Trainer(s), Cheri’ Wahl or Stephen Moss, ATC in the Bixby Athletic Training Room or to Denise Wood, Athletic Secretary in the Athletic Department or you can scan and email to cwahl@bixbyps.org, smoss@bixbyps.org, sblackwell@bixbyps.org or dwood@bixbyps.org.